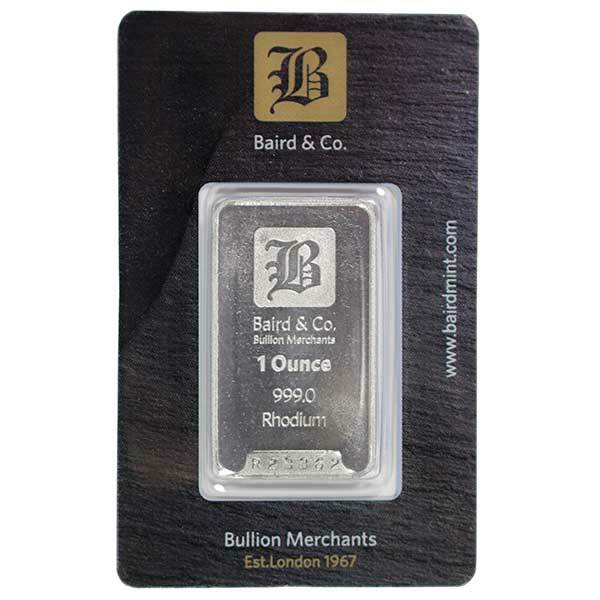 Money Metals Exchange proudly offers a 1 ounce Rhodium offer from Baird & Company located in London. 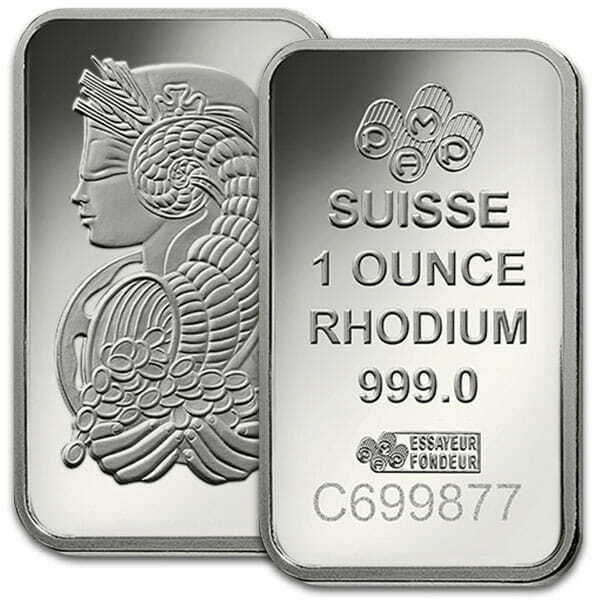 These bars are .999 pure rhodium - the precious metal with perhaps the most explosive potential for price appreciation. Prices peaked near $10,000/ounce in 2008 and many expect the market may return to those levels next time there is a shortage of this extraordinarily rare and indispensible metal. Like platinum and palladium, the primary application for rhodium is catalytic converters for cars and trucks. It is alloyed with platinum and palladium to enhance resistance to corrosion and aggressive chemicals. Jewelers and silver smiths also rhodium in thin layers to prevent tarnish to the underlying metal. Rhodium in bar form is nearly impossible to find, but far superior to the more commonly available sponge form. Sponge will often need to be melted and assayed when re-sold. But Baird & Company bars in their original tamper proof package are trusted by dealers everywhere. Baird manufactures bars to the highest quality standards and has been building their reputation since 1967. 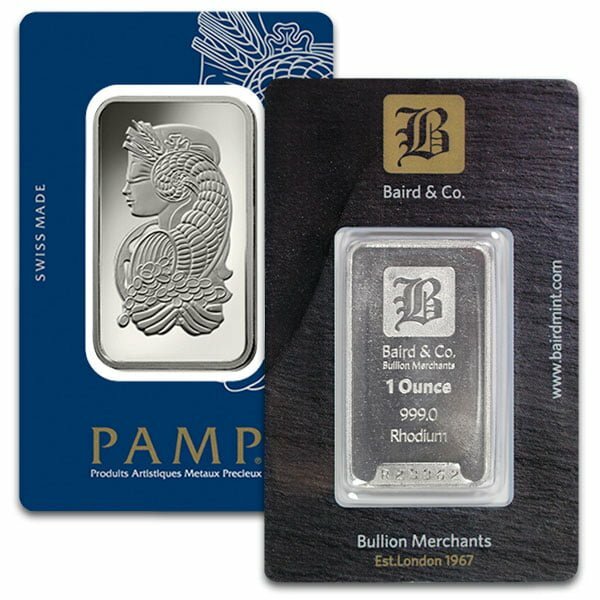 These Rhodium bars are a great upgrade from the typical go to like 1 ounce silver bars most buyers invest in. 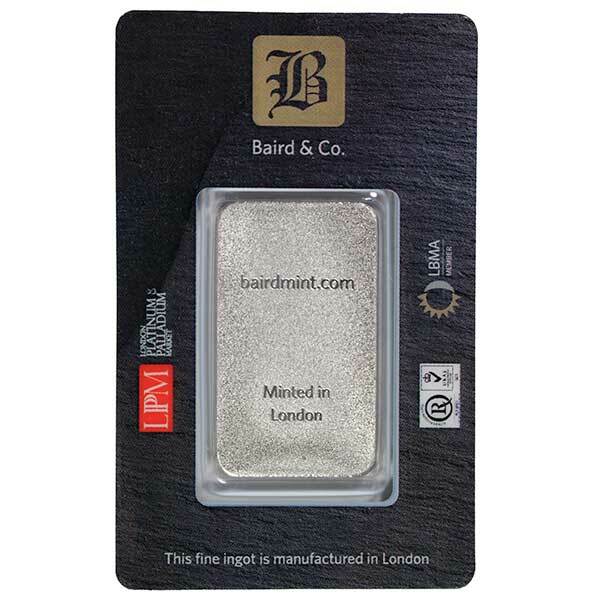 To learn more about our Baird rhodium bars or if you have any questions, call Money Metals Exchange at 1-800-800-1865. Beautiful bar in a well padded envelope. I went back and checked the price of Rhodium. It looks like it has been going up for a couple of years. Beauty and price appreciation, what more could you ask for. Rh is 100 Times more rare than Gold. I had to have at least one of these to add to my metals collection. If you look at past value and these prices I think its a no brainer to buy. But even if it doesn't go back to past highs ( I do think it will go much higher), its still has a Cool Factor that not many investors can say they own or have even seen one . I will buy more Rh. 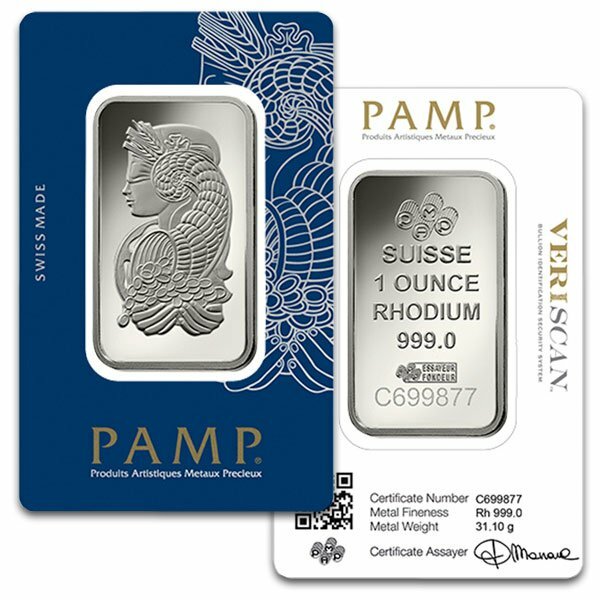 You can now sell your 1 Oz Rhodium Bars back to us online, at a price of $2,650.00 each!